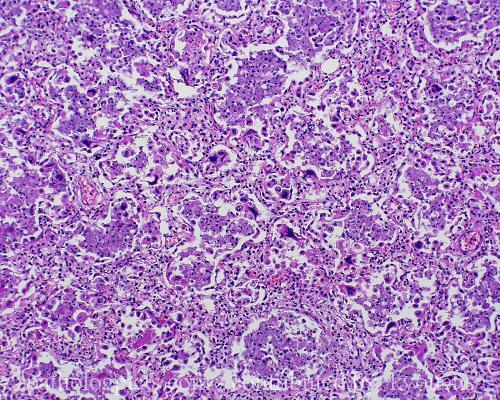 Additional Info: In this image, foci of acute fibrinous and organizing pneumonia are seen in association with the pneumonitis. Multiple giant cells are present. An extensive panel of immunostains was performed, including adenovirus, measles, herpes, varicella, and others. The multinucleated cells stained strongly for RSV.